I hereby reveal to you my new song Dance & Sway hoping that it will make you dance and feel happy. I was participating in a fundraising sports event marathon organized by a non-profit organization that brings free of charge school to many hospitals pediatric wards in Lebanon for students suffering from cancer and other life-threatening illnesses. This was on the 4th of August 2013 in a region called Faqra in Lebanon with around 1,800 meter altitude. I was walking in the sun and above me only sky. The sky is a universal link to all the beloved ones even if they are faraway; they are under the same ceiling, under the sky, and when they dance and think of each others, they are then together despite the distances. This could be a wonderful feeling, but for those who are suffering from cancer and other life-threatening illnesses “…Enjoying life it’s a wonderful feeling…” become so difficult to feel, especially when the pain starts to be the big part of their life. Despite all this we should try to do our best to make all the suffering persons enjoy life. This is where I came up with the song while walking in the marathon; I recorded the lyrics and melody on my cell phone until I develop it by year 2015. 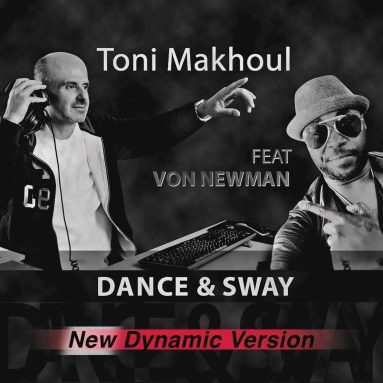 The song is performed by Von Newman who is a talented singer from New York. The way Von perform & sing is really distinctive and it shows that he is an exceptional artist.